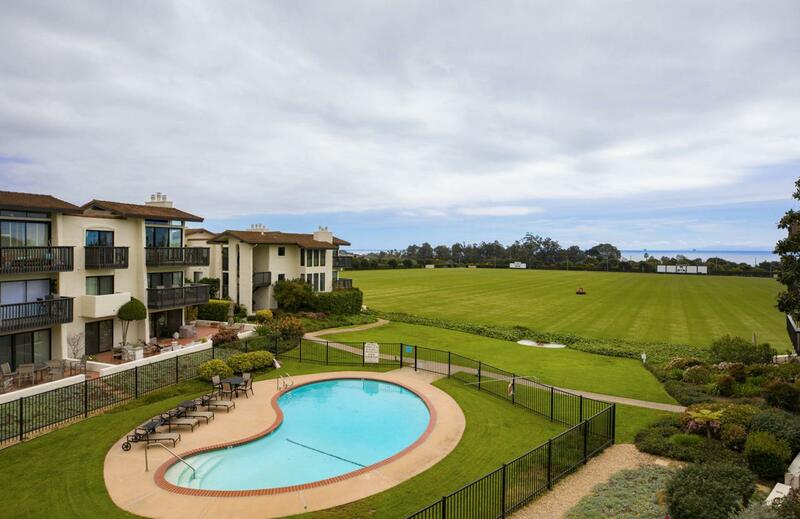 Ideally positioned between Santa Barbara's picturesque foothill mountains and the Pacific Ocean, this top floor polo condo offers elevated ocean and island views over the majestic fields. Experience the many luxuries of this resort-style living and relax by the pool, walk about the pristine manicured grounds, or play tennis at the nearby club. This one bedroom unit offers a sun-filled living room with vaulted ceilings, a fireplace and sliding glass doors that open to a private balcony, perfect for soaking in the sunset and viewing world-class professional polo games. The cheerful kitchen opens to the main living area and is perfect for entertaining with ample counter space. A perfect destination......this condo is just a short drive to the beach, the many shops and restaurants and wine-fueled culture of Santa Barbara, Montecito and Carpinteria.